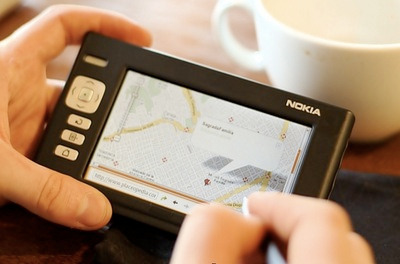 Maemo is the Linux software platform for Nokia’s Internet Tablets. The new site includes many interesting functionalities like an application catalog, blog aggregator and a wiki. 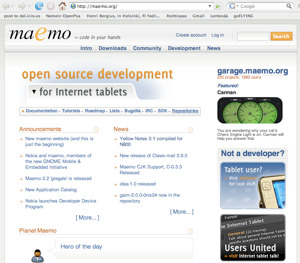 User accounts are integrated with Maemo’s Gforge installation. 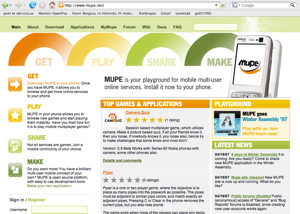 Mupe is a platform for building games and other connected applications for mobile phones. The site includes a wiki, discussion forum, application catalog with ratings and user account registrations. Both sites will hopefully serve as good resources for their user and developer communities.